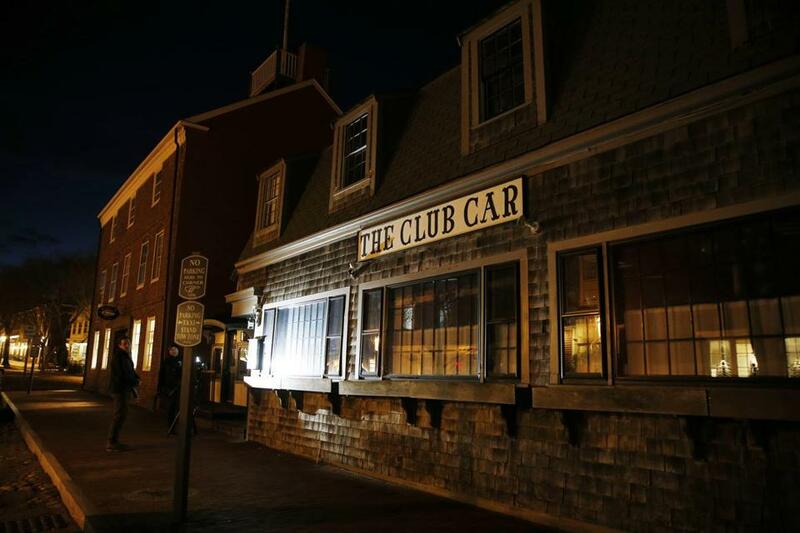 The Club Car Restaurant where actor Kevin Spacey’s alleged sexual assault on a teenager took place. NANTUCKET — Lawyers for Kevin Spacey Monday said the man at the center of a criminal sexual misconduct charge against the actor has made “patently false” allegations after he chose to participate in “mutual and consensual flirtation” at an island bar in 2016. In papers filed in Nantucket District Court after Spacey was arraigned on a single felony count of indecent assault and battery, the 59-year-old actor’s lawyers targeted the integrity of the alleged victim who was 18 years old during the encounter that has led to the criminal charge. A not guilty plea was entered on Spacey’s behalf and he was released on personal recognizance Monday. The victim’s “unsubstantiated, after-the-fact claims of sexual assault are patently false” and other details about their interaction that night “at best ... describes two people engaged in mutual and consensual flirtation, nothing more,’’ the attorneys wrote. The name of the alleged victim was included in the defense paperwork, but it is Globe policy not to identify victims of sexual assault without their consent. The victim is the son of former Boston television news anchor Heather Unruh. 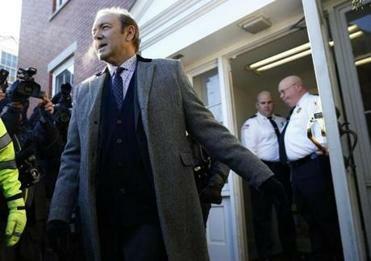 Actor Kevin Spacey pleaded not guilty Monday in Nantucket District Court to a single felony count for allegedly sexually assaulting an 18-year-old man at an island bar in 2016. In court papers, the defense has also targeted Unruh, asserting that she is the “driving force” behind the prosecution of Spacey, who is charged under his real name, Kevin S. Fowler, and not her son. “In spite of the high-profile nature of the allegations, and the fact that the complaining witness’ mother, Heather Unruh, has taken the unusual step of investigating and attempting to interview witnesses herself, no one has come forward to substantiate or corroborate” her son’s claims, the attorneys wrote. According to State Police reports filed in court and to Spacey’s attorneys, the alleged victim was in contact with his then girlfriend via Snapchat, text messages and phone calls during the incident inside the Club Car bar on July 7, 2016. However, according to Spacey’s attorneys, the woman told law enforcement that at no time while she was receiving contemporaneous contact from the alleged victim did he ever describe himself as being the victim of a sexual assault. “The first time she ever heard of the allegations of sexual assault was when she saw the now-infamous press conference that the [alleged victim’s] mother, Heather Unruh undertook with her civil lawyer a year later,’’ attorneys Alan J. Jackson and Juliane Balliro wrote. The criticism of the alleged victim and Unruh was contained in a defense filing as they asked District Court Judge Thomas S. Barrett to order the preservation of any electronic records from July 7, 2016, to the present. According to State Police records, the alleged victim broadcast portions of the incident, specifically when Spacey allegedly indecently assaulted him, on his Snapchat account. The attorneys said prosecutors have only provided a copy of a brief Snapchat video the victim said he took of the alleged incident, but that, according to Spacey’s attorneys, does not show any actual groping. Maria Cramer can be reached at mcramer@globe.com. Follow her on Twitter @globemcramer.Matt Rocheleau can be reached at matthew.rocheleau@globe.com. Follow him on Twitter @mrocheleJohn R. Ellement can be reached at ellement@globe.com. Follow him on Twitter @JREbosglobe.